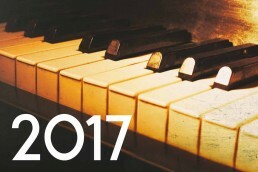 The New Ross Piano Festival began in 2006 – take a look back through our archive of festival highlights. In 2018 we presented the Irish debut of two very different pianists: Anne-Marie McDermott, “one of the great American pianists of her generation”, who has a major career as a soloist and chamber musician in the USA and beyond, but has never played in her ancestral home of Ireland; and the Romanian pianist Alexandra Dariescu, recently named by International Piano Magazine as ‘one of 30 pianists under 30 destined for a spectacular career’. Anne-Marie, Alexandra and the festival’s Artistic Director Finghin Collins was joined by outstanding Bulgarian violinist Svetlin Roussev and French cellist Marc Coppey for performances of three glorious piano trios. 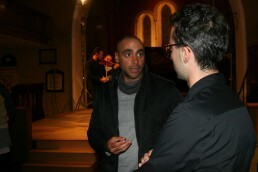 Our popular weekend coffee concerts were given by François Dumont from France and Marcos Madrigal from Cuba. Young Waterford pianist Billy O’Brien filled the new Friday coffee concert slot, a free event specifically geared towards younger ears. While David Greilsammer returned to perform the fascinating late-night programme “Labyrinth”. 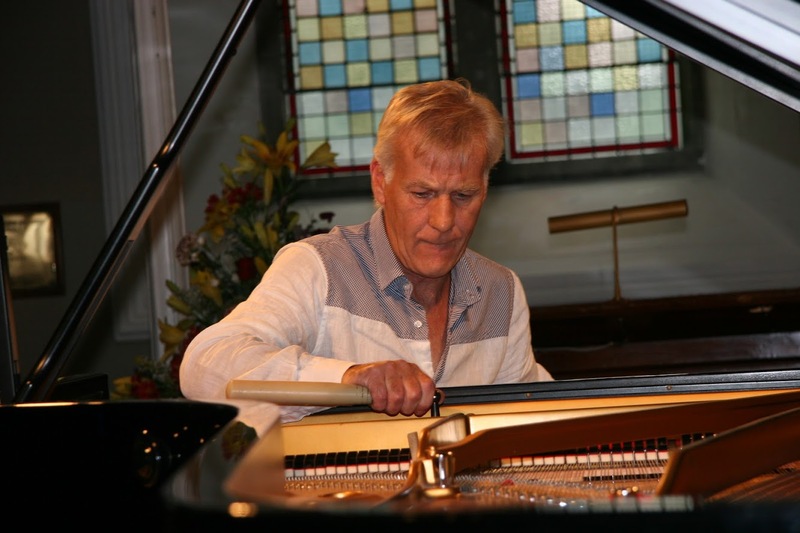 For the second year running we presented our Jazz Piano Day, on Thursday September 27th, again curated by Phil Ware. 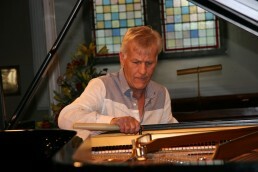 The headline act was Swedish pianist and composer Lars Jansson, who is acclaimed in Scandinavia and throughout Europe for his eclectic performances and improvisations. 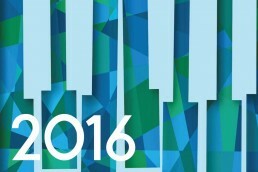 Although the programme contained a wide variety of composers, there was a Hungarian flavour to 2017’s festival. Two of our guest pianists, Zoltan Fejérvári and Klára Würtz were Hungarians. He was making his Irish debut and she was a prize-winner at the first Dublin International Piano Competition. Two of the brilliant chamber music performers were Hungarians – István Várdai on cello and Kristóf Bárati on violin – and we had a Hungarian musicologist, Endre Toth, who enlightened us on the famed Hungarian school of piano-playing before each of the coffee concerts and talked about Kodaly at the student session. Together with Finghin Collins these musicians played at the three main concerts. 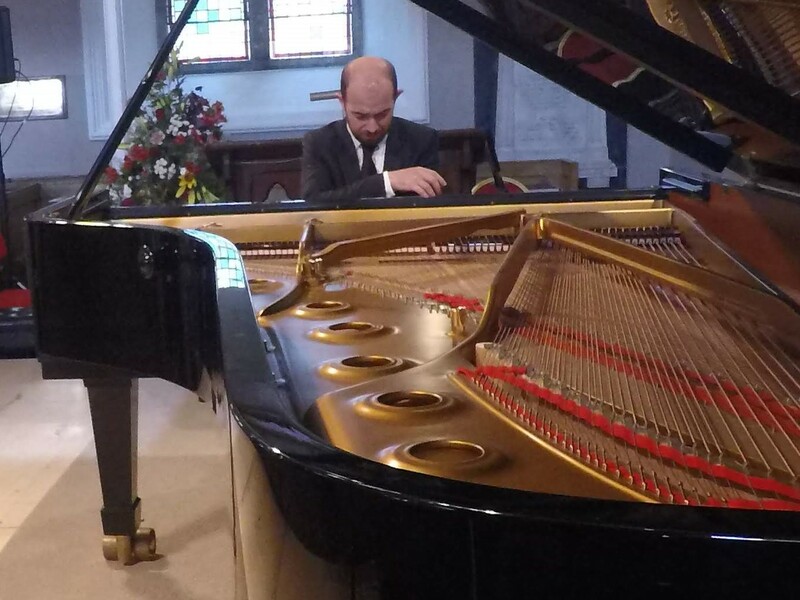 Another exciting “not to be missed” event this year was the fortepiano concert on Saturday. Kristian Bezuidenhout, the much admired exponent on this instrument, performed on a specially imported fortepiano in a solo recital at 12 noon. 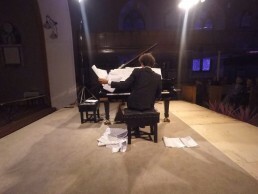 David Greilsammer was taken ill and unfortunately was unable to perform his programme called Labyrinth on Saturday evening. To everyone’s delight, Finghin Collins agreed to give a short recital of Chopin Nocturnes, which are featured in his new CD of Chopin’s music. 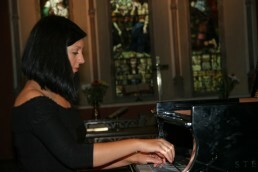 The astonishing young Russian, Elizaveta Ukrainskaia, gave a solo recital on Sunday at noon. 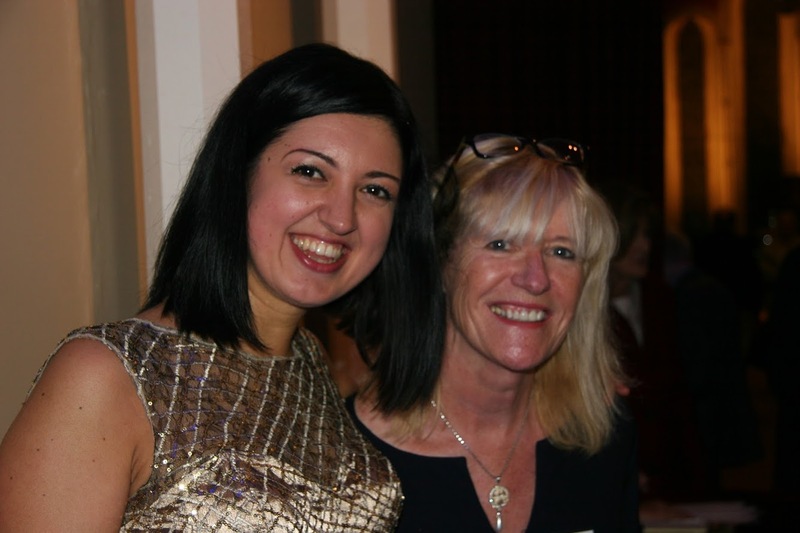 She has just won first prize at the Bremen Piano Competition, and the New Ross Piano Festiva was pleased to enable her Irish debut. 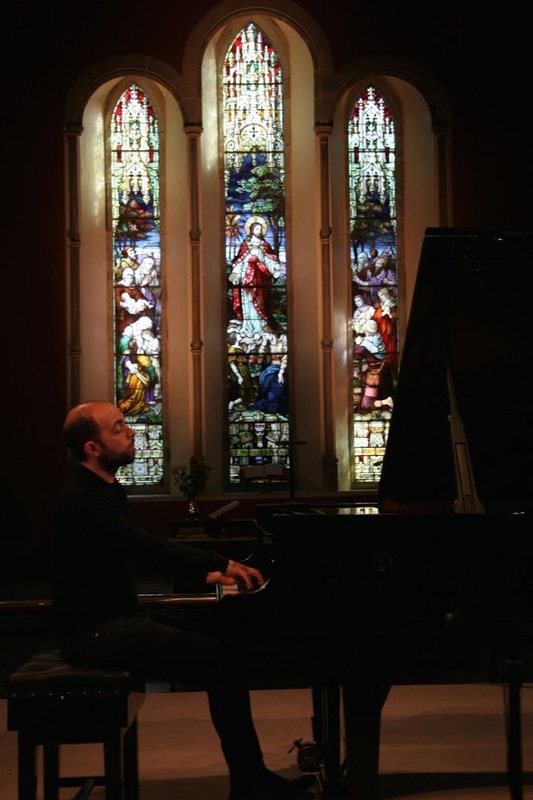 There was a new and free Friday noon concert with Sean Morgan-Rooney, winner of the Brennan Prize at the last Dublin International Piano Competition. This was specially aimed at music students but it was open to the public to join them at 12 noon. 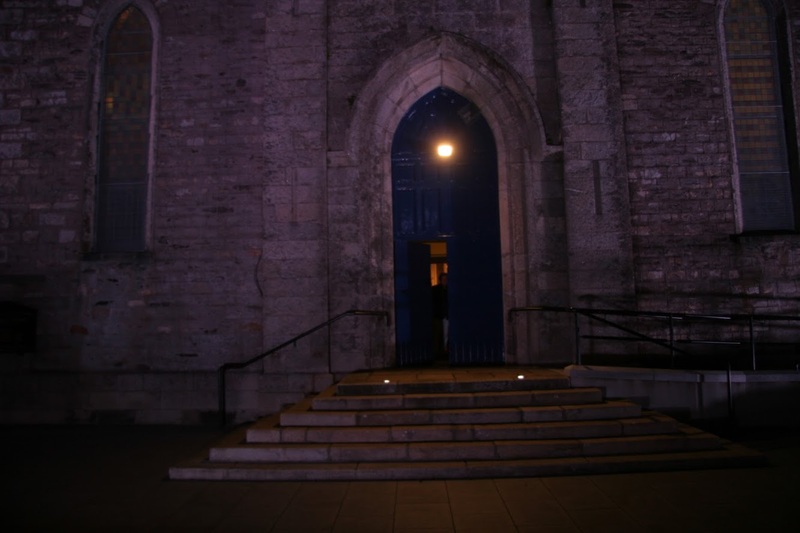 Sean’s programme featured a variety of short pieces, familiar and not…. 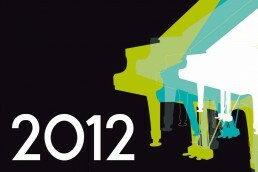 Lastly but not least, we introduced a Jazz Piano Day, Wednesday the 20th, to start the festival, curated by Phil Ware. He brought to us one of Europe’s most entertaining and well-known jazz pianists, the Italian Enrico Pieranunzi. Phil and his double bass player, Damian Evans, also played a very well received lunch time concert that day in the church. In the early evening, at 7pm, Phil and Enrico had an entertaining pre-concert conversation about their jazz piano experiences prior to Enrico’s concert at 8pm. 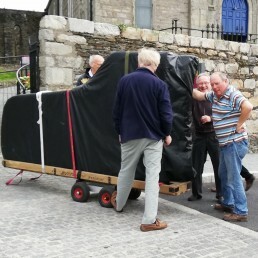 Continuing the jazz piano strand, Myles Drennan played two sessions, each an hour long, one in the New Ross Library at 11am and one in the Dunbrody Visitor Centre at 3.30pm. Both of these were free events. These PLAY ME pianos were placed in those venues for a week for anyone to play when they felt like it. One was also placed in the Lake Region Medical premises. Throughout the weekend the world premieres of the final five pieces in the Ros Tapestry Suite took place, bringing to a close the ambitious three-year project which has seen the commissioning of fifteen Irish composers to respond to the 15 panels of the amazing Ros Tapestry in music. 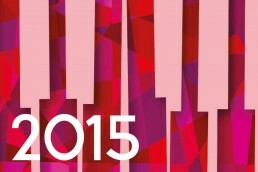 The composers this year were Raymond Deane, Philip Martin, Grainne Mulvey, Marian Ingoldsby and Garrett Sholdice. Finghin Collins fronted an interesting discussion about the challenges of composing music inspired by a picture with the latter three composers on Sunday morning. On Saturday morning he welcomed Richard Lomas, an historian from Northumbria who has written a booklet about the Normans who are connected with the New Ross area. The proceeds from the sale of these was generously given to the Piano Festival funds. 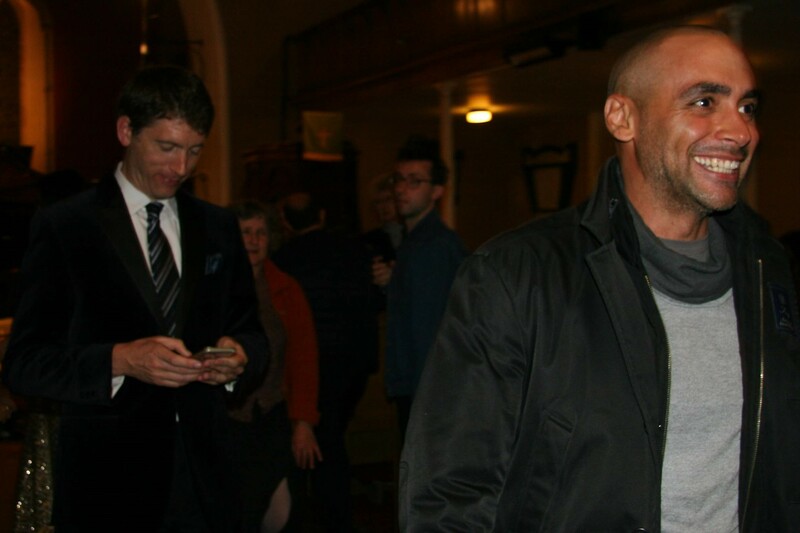 On Friday the renowned jazz pianist, Phil Ware, was in town with bass player Damian Evans, and gave short recitals in unusual venues, such as the Dunbrody Cafe and the Library. A similar pattern took place on Saturday with Patrick Molitor, who has been influential in preparing students for entry into the degrees in jazz piano that are now available in Ireland. There were the usual outreach sessions with students of all levels, and the placing of “Play Me” pianos in unusual venues for the public to play whenever they feel like it. 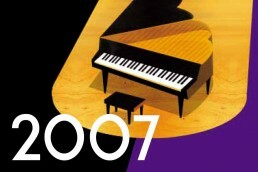 In 2006 the festival’s committee set out with a simple mission – to celebrate the virtuosity, versatility and variety of music and emotions that are associated with the piano and with pianists. 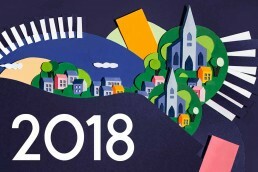 It was an all Irish cast that year in a programme from the established repertoire but slowly, yet surely, the inspired festival committee introduced elements of more challenging and contemporary composition including the commissioning of a fascinating cycle of work (to be completed next year) relating to the panels of the historical Ros Tapestry by some of today’s active Irish composers. Mainstream composition now sits happily alongside the avant garde. 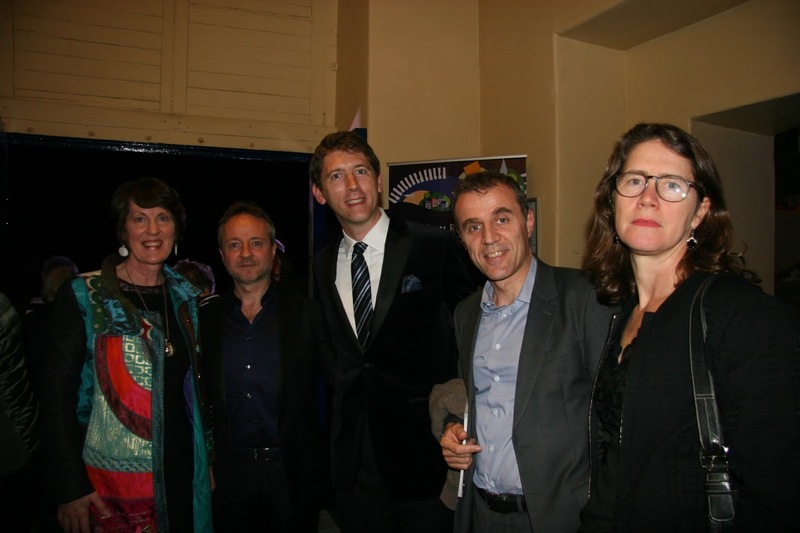 Five more world premières were commissioned this year. The composers were Eric Sweeney, Linda Buckley, Deirdre Gribbin, Andrew Hamilton and Sam Perkin. The South East Young Pianists’ concert on Thursday was, as in previous years, a valuable insight into the amount of precocious musical talent in the region. Young people also experienced piano music in the Library with Yvonne Collier and in Our Lady of Lourdes school with Daria van den Berken, whose enlightening talk and performance was filmed by RTE. 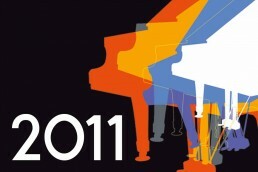 This year saw the return of the RTE Concert Orchestra so that we heard three piano concertos on the Friday night. Fittingly, it was Artistic Director Finghin Collins who was first to the platform this year in Beethoven’s Piano Concerto #3. A relatively well known concerto, it puts it up to the pianist for instant comparison with his peers, yet he is one who can mix it with the best and the audience warmth for one if its own was reflected in a typically assured performance where he was both conductor and pianist. Cédric Tiberghien’s performed the well-loved Mendelssohn concerto and Alexei Grynyuk introduced many people to Scriabin’s wonderful score. Finghin Collins conducted the RTE Concert Orchestra throughout . Olga Scheps, suffering a head cold, gave a memorable performance of the Romantic style of piano playing. Opening with a crystal clear Chopin nocturne, she included Rachmaninov’s ‘Vocalise’ along with a Chopin Ballade. She played with great sensitivity and delicacy though, after a quickly taken first encore, she followed up with an explosive Prokofiev piece – there is nothing like Russian blood to deliver Russian music. 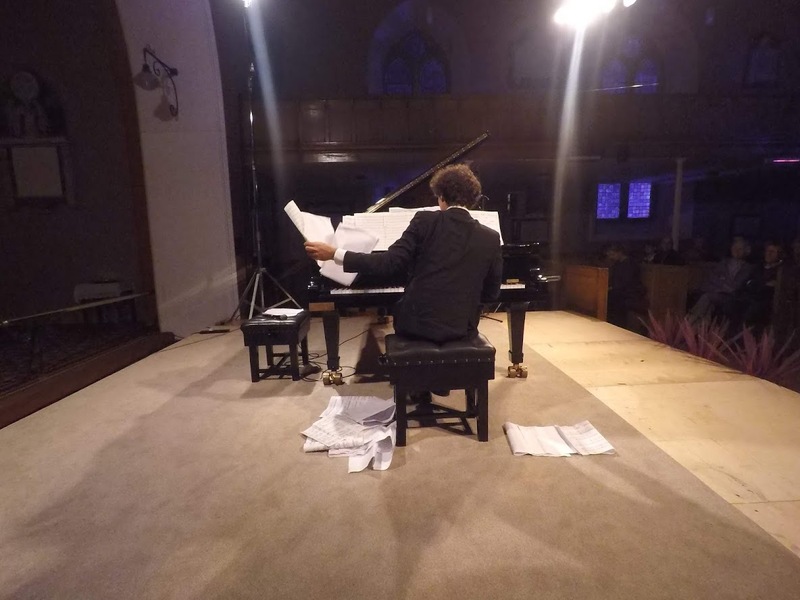 Cédric Tiberghien’s passionate playing of Berg’s Piano Sonata was an invitation to the audience to engage with this ‘new’ music, and by including it along with a Mozart sonata he was suggesting that if Mozart’s is music then so is Berg’s. Those who stayed on for the late night concert enjoyed the Fidelio Trio in a beautiful rendering of Schoenberg’s ‘Verklärte Nacht’ which is the treasure piece in the tonal oeuvre. Alexei Grynyuk gave a very moving performance of Schubert’s death bed Piano Sonata in A major followed by Stravinsky’s three movements from Pétrouchka with its hideously difficult score which only few can master. Aurally and visually Grynyuk’s performance was as breathtaking as it was thrilling. Daria van den Bercken’s recital of Handel and Mozart whose music comes from the early and mid 18th century with its ordered and simpler structure was completely different. She gave a commanding performance, much enjoyed by the audience. The weekend was brought to a close by the 21 gypsy tunes of Brahms’ Hungarian Dances in a 50 minute performance by Finghin Collins and Cédric Tiberghien, which brought a spontaneous sense of fun to the closing event. The printed programme listed all the brilliant pianists and chamber groups who had delighted us in New Ross over the 10 years of the festival. 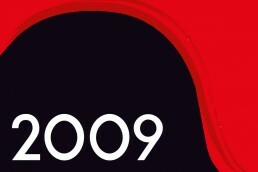 We look forward to the next ten years! 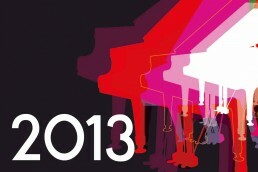 New Ross Piano Festival once again wove its magic. A very appreciative audience was treated to a delicious variety of piano repertoire. A wonderful innovation this year was the commissioning of five new compositions by Irish composers inspired by panels of the Ros Tapestry. The international piano virtuosi were joined by the Cassiopeia Winds for several pieces. For the large audience who came on Thursday to hear the young students from this South East this proved to be a stimulating and rewarding evening. 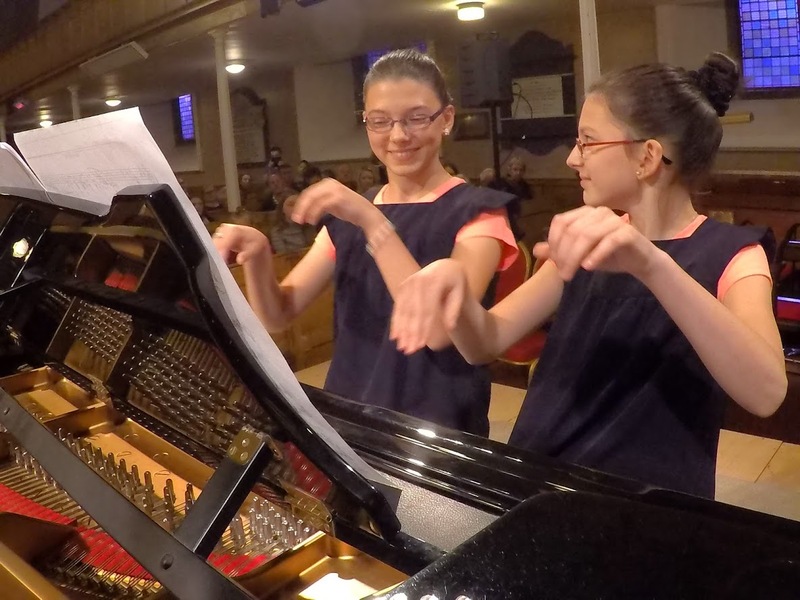 Notable performances were given by 10 year old Emma Murphy, who started playing only in 2013, and gave a confident rendering of Diabelli’s Sonatina Op.151, and also Kevin Ye’s masterly Fantasie-Impromptu by Chopin. This strand of the festival grows every year, both in the ability of the students and in the size of the audience. 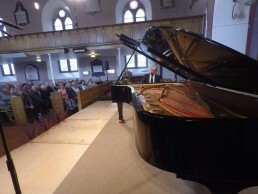 The opening concert with the guest pianists on Friday night also had a large and appreciative audience, who had travelled from all over Ireland, from the UK, Germany, and China as well as a loyal local following. It was noticeable this year that the mid-day concerts had become very popular with almost full houses for Joseph Moog and Beatrice Berrut’s solo recitals. Both of these performers gave wonderful programmes, beautifully played. Joseph Moog will be making his first appearance in London’s Wigmore Hall next month, but it was a New Ross privilege to have heard him first. Beatrice Berrut’s slight figure belied her tremendous power as she moved from the Busoni Bach transcriptions of the choral preludes to his very difficult but lovely Chaconne in D minor, and on again to the vivid depictions of Dante’s Hell and shimmering Heaven as composed by Liszt. She combined delicacy and strength and a great depth of feeling. For three of the concerts we were treated to performances by Melvyn Tan, Lise de la Salle and Finghin Collins. 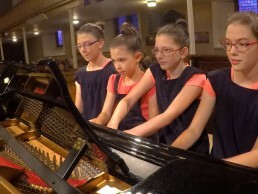 It is difficult to describe the roller coaster of emotions that these three marvellous pianists evoked. 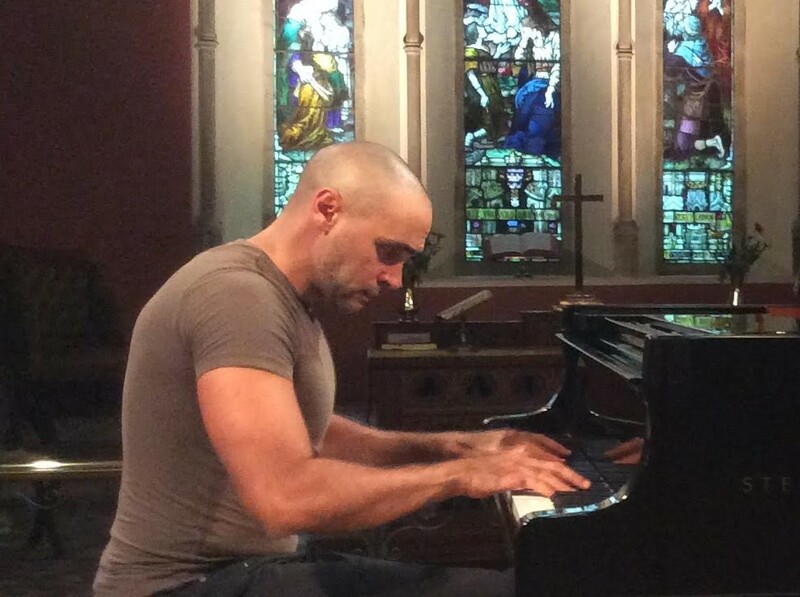 From the incandescent and breath-taking performance of Finghin Collin’s Chopin Etudes on Friday, to Melvyn Tan’s beautifully sensitive Schubert on Saturday, to Lise de la Salle’s incredible playing of one of the most difficult works in the piano repertoire, Ravel’s Gaspard de la Nuit on Sunday, their programmes were deeply satisfying. The Cassiopeia Winds joined them for thoroughly enjoyable works by Rimsky-Korsakov, Mozart, Poulenc and Caplet, works which on the whole are not heard often, but were delightful. The newly commissioned works by Gerald Barry, Gerry Murphy, Sebastian Adams, Elaine Agnew and John Kinseila were very different from each other in style, extremely interesting in interpretation, and were played in front of the actual tapestry depicted. This strand of the festival is an exciting addition, and will certainly spark increased interest and knowledge of the wonderful, beautifully embroidered Ros Tapestry, with its unique blend of art, craftsmanship and history. When the audience emerged into the early evening autumn sunshine on Sunday the talk was of the pleasure, the joy and sheer delight that this Festival delivers annually. 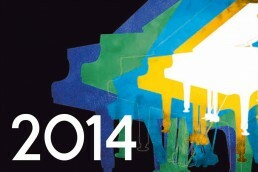 Our emphasis this year was on Russian pianists. Lilya Zilberstein is well established and Denis Kozhukhin is younger but also on the world stage, and both of them took part in our three main shared concerts. 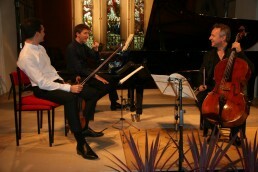 Finghin Collins, our Artistic Director, also performed at those concerts, as did the RTE Vanbrugh Quartet. On Sunday they were joined by the Russian violinist, Ilya Gringolts,for a rousing performance of Chausson’s Concert. 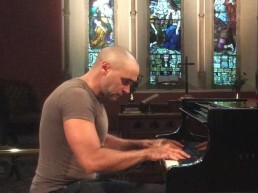 One of the highlights this year was the Saturday solo recital at mid-day. Again it was a Russian. Nikolay Khozainov won the last Dublin International Piano Competition in 2012. He was only 19 at the time, the youngest winner ever. But on Saturday we all realized why. He was quite amazing, and the audience were bowled over. 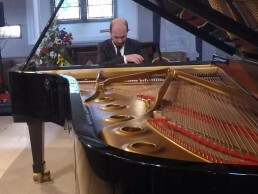 On Sunday morning we heard the American pianist, Alexander Bernstein, play an all-American programme, including the well-known Rhapsody in Blue. We had chosen to do this concert as our contribution towards the special JFK50 celebrations in New Ross in 2013. Alexander also met music students on Friday morning and told them about some of the better known American composers such s Charles Ives and Gershwin, playing some of their music. On Thursday morning pianist Yvonne Collier took three sessions in the Library with primary school children from Listerlin and New Ross. We also left a “Play Me” piano there for the weekend, rather disturbing the peace of the library. 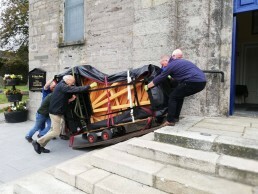 Pianos were also placed in Tesco, Supervalu, St Michael’s Theatre foyer and Brandon House Hotel for the public to play at their leisure. We had visiting reviewers from France and Germany, who have both written reviews in music magazines on the continent , and this year we had our first Japanese visitor as well as visitors from France, Austria and the UK. 2012 will be remembered for several reasons. For the first time we had the RTE Concert Orchestra for an event which included three piano concertos with three different pianists, all conducted by our Artistic Director Finghin Collins. It was also the first time we had a piano trio, the highly respected Storioni Trio from the Netherlands. We welcomed pianists from all over the world. Young Melodie Zhao from Switzerland wowed the audiences, as did Martina Filjak, the Croatian pianist who travelled from America to be with us. Greek pianist Dimitri Papadimitriou gave an exciting Russian programme, and we had three very different Irish pianists – our own Artistic Director and international pianist Finghin Collins, Fergus Sheil who played his own arrangements of American standards, and Hugh Tinney who gave a fascinating late night exploration of John Cage and his influences, performing on both ‘normal’ and prepared piano. We commissioned a new two-piano work from Stephen Gardner with funds from the Arts Council; this was premiered by Finghin Collins and Charles Owen. 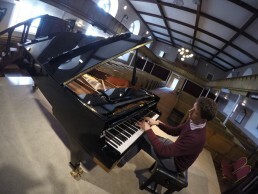 Young Irish pianist Fiachra Garvey gave an impressive solo recital. We also engaged some orchestral players to give three performances of the Carnival of the Animals, narrated by celebrated Irish actor Barry McGovern. 2010 was the Chopin year and we celebrated it by including both of his piano concertos arranged for string quartet and bass. We also had Chopin specialists, Abdel Rahman El Bacha from France and the amazing young Chinese girl, Sa Chen. El Bacha gave a masterful performance of Chopin’s complete Preludes as well as his second piano concerto. Schumann’s bicentenary was also marked with a performance of his piano quintet by Finghin Collins and the Renoir Quartet. Libor Novacek and Rebecca Capova gave the daytime solo recitals. Finghin Collins gave a memorable late night Schubert concert and Colm O’ Brien once again entertained downtown with ragtime and jazz. The 2009 New Ross Piano Festival took place over the weekend of September 24th to 27th, celebrating the enormous diversity of the piano, with five prize-winning pianists from Ireland, Finland, Korea, Italy and the UK. 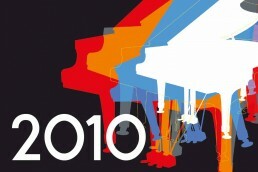 The 2008 New Ross Piano Festival featured Finghin Collins, Philip Martin, Cristina Ortiz, Nicolas Stavy, Peter Tuite, Muriel Cantoreggi, Marc Coppey and Emma Johnson. The programme lists Corinne Chapelle, but Corinne injured her arm the week before the Festival and Muriel Cantoreggi performed. 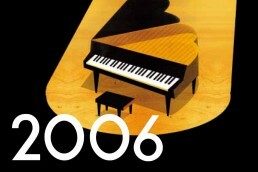 The 2007 New Ross Piano Festival featured Dearbhla Collins, Ovid Trio, Finghin Collins, Freddy Kempf, John O’Conor, Norah King, Martha Bredin, Jamie Rock, Niall Morris and Maria McGarry. Ruth McGinley was listed in the programme but due to illness she was replaced by Maria McGarry. 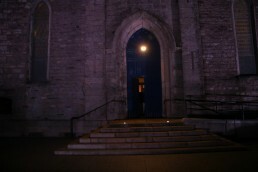 The inaugural 2006 New Ross Piano Festival featured Archie Chen, Míceál O’Rourke, Hugh Tinney, Finghin Collins, Michael McHale and ConTempo String Quartet.